There are no words…..this is possibly the best historic fiction based in Arthurian legend that I have read in a very long time. Taking the unusual perspective to tell the story from ‘above the wall’ in Strathclyde, the story mixes intrigue, bloodshed, power games and philosophies in ways unexpected. Langoureth is a complete character – human, flawed, contradictory and utterly palpable, and she’s influenced by the history, myths and superstitions of her place, often coming into conflict with her own desires, choices and dreams that seem impossible, and all are presented in a clear and evocative prose that feeds the imagination as it transports you to places unknown. THIS is a story that, like Outlander and Game of Thrones could easily garner millions of viewers and fans, if only people are willing to delve into the book and just escape within its pages. Secondary characters are also rich and developed in ways that conversations are easy to hear, the moments unfold with a richness and fullness that place you in the space: sights, sounds, and smells all are palpable, and there is an uncanny sense that darkness is creeping in on the edges – ready to take away progress and redirect the choices in ways that both limit and expand the progress of Langoureth’s journey. I can’t wait for the next in the series! 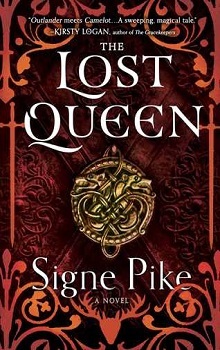 Signe Pike is the author of the travel memoir Faery Tale and has researched and written about Celtic history and folklore for more than a decade. A former book editor, she lives in Charleston, South Carolina where she writes full time.